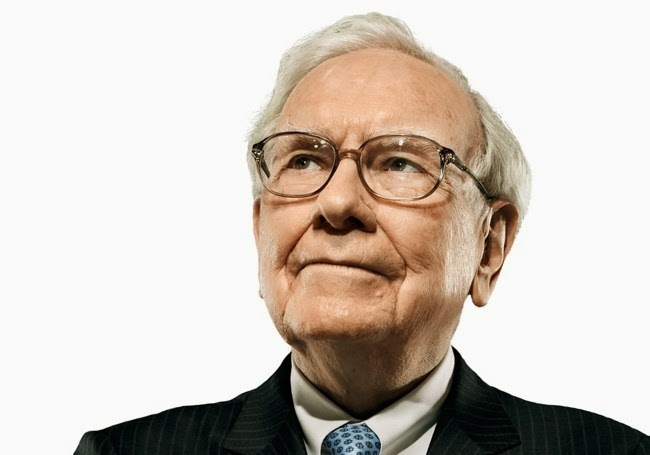 If you are a shareholder of Warren Buffet's Berkshire Hathaway, I believed you are reading intriguingly how the Oracle of Omaha (together with Charles T. Munger) recount 50 years history of the company. "On May 6, 1964, Berkshire Hathaway, then run by a man named Seabury Stanton, sent a letter to its shareholders offering to buy 225,000 shares of its stock for $11.375 per share. I had expected the letter, I was surprised by the price." Berkshire then had 1,583,680 shares outstanding. About 7% of these were owned by Buffett Partnership Ltd ("BPL"), an investing entity that I managed and in which I had virtually all of my net worth. Shortly before the tender offer was mailed, Stanton had asked me at what price BPL would sell its holdings, I answered $11.50, and he said, "Fine, we have a deal." Then came Berkshire's letter, offering an eight of a point less. I bristled at Stanton's behavior and didn't tender"
"Irritated by Stanton's chiseling, I ignored his offer and began to aggressively buy more Berkshire shares," Buffer said. That was a monumentally stupid decision. After 20 years of ups and downs, Buffett pulled the plus on Berkshire's textile business. "But stubbornness - stupidity? - has its limits," he said. "In 1985, I finally threw in the towel and closed the operations." Warren Buffett's entire legacy would've been quite different if he had swallowed that eight of a point ($0.125) discount and just sold. The $11.275 Stanton was offering was a massive 50% return relative to the $7.50 he paid just two years before in December 1962. Surprisingly, it seemed as though Buffett allowed his emotions to take over even as the Value disappeared. 1. We are all human (1), even the Oracle also make mistake, so no one is spared. 2. We are all human (2), even the Oracle let his/her emotion get away with it, occasionally. 3. Number is fixed but human being is flexible, try not to cast and stone the number/amount too religiously. Always look at the big picture (I am guilty of this one too and am learning to look at a bigger and long term picture). 4. Integrity is utmost important in business (I am sure Seabury Stanton learn his "lesson" along the way too). I read about how they are going to organize their 50th year AGM. It seems so fun!!! On a more serious note, it's a good read. I enjoyed their written letters with humors.